I have a weather station with multiple sensors with battery and solar power on my roof. Worked for quite a long time but since a few days I see that communication stops in the early afternoon. After 1-2 hours it is back to normal. All other sensors still work so I assume it must be the sensor node itself or some interference around. The strange thing is, due to winter light is limited and just when there is some sun it does not work (not clear if sun is causing the problem yet). As it worked in summer I think this should not be an issue except the solar panels are defect. I unplugged them yesterday but still the same issue. I had similar problems but it was mainly radio interference. Are you using nrf24? yes, I am using NRF24 on my nodes. I was thinking of creating a 2nd gateway with a different channel and connect the weather station to this in order to rule out interference - however it is still strange that I get around all 3 minutes a connection and then for 1-2 hours not even one. @parachutesj and you have controll over the voltage? I mean - wintertime, its just not getting enough sun so the voltage drops? @sundberg84 that's a good point. The battery was full when I first noted it and checked it. So it seems that it charges enough in order to get it running. I am no expert but the coldest temp is not around noon, so basically it fails when it is getting warmer. Is this a typical scenario or should the voltage drop when it is coldest? @parachutesj - I dont think the temperature has anything to do with solar charger? Im thinking that now during winter the sun is very low so its a long period without incoming power. Maybe even all night and the first hours during the day (untill noon when its at the lowest voltage?). Then at noon when the sun is in the right angel again it starts to charge. it does not use a lot power at all. It sleeps for most of the time. I do not remember the exact figures but it would be ok without solar for at least one year. So the only correlation I could see is that when it starts charging and there is enough power via solar available, it is causing some side effects lately. just a quick update: it failed again. I just looked at the monitor and last update was at 12:42pm - no update in last 45 minutes. All other sensors still report. And there is no sun today. oh boy, I have no idea. Maybe I replace parts and see what happens. @parachutesj - could you measure the voltage when it was "down" ? Is it going inline directly again if you reset it? When I took it down (on Sunday), I had it inside (with no sun exposure) and opened the case. I found that all still was up and battery voltage was ok. As soon as I hit reset it was back ok. It took me about 1 hour more until it was back on the roof. So I am not so sure if it was the reset, the missing sun exposure or whatever. So I monitored it yesterday. Again at around noon it stopped and got back online after 1.5h. Will see what it does today. But I think first will be adding a new gateway on different channel connected to my PC in order to do some tracing. To your question: I am not sure if it is communicating directly with the gateway or via a repeater node. As I am using MQTT there is no information when I receive the message at my controller. I think I could debug the gateway in order to find out. Or ist there some other possibility? If you are going to change the sketch, take the chance to add the voltage measurement, just in case. Also try both lowest and highest NRF24 channels to see if you get any changes. @parachutesj - a hard nut to crack this one! I have a similar case - thats why I asked about the repeater. Its my rainsensor (2xAA + reed switch, sleeping) which very seldom but sometimes disconnects. I know when I launched this node it was living on the radio range edge so I added a repeater. The repeater isnt located 100% good for the rain node so sometimes its like it gets disconnected from this repeater and tries to reconnect according to protocol. I dont know if the sensor sometimes connects directly to GW and sometimes through a repeater but the symptoms are the same as you. The good thing is that if it goes through the repeater you might be able to debug some through the repeater. @gohan @sundberg84 thank you both for your inputs. I think I have a design issue here. That also fits to current weather situation: Anytime around noon it has enough sun rays to charge the battery. The question is, what is wrong? Either the charging circuit is behaving strange when it reaches cut off or 4.2V are too much for the Arduino? That of course was no issue with the Nano and explains a bit. If I remember correctly, I desoldered the power regulator on the Arduino (need to check next time I get it down). Does anyone know what is the max Voltage until it fails? At least I have some glues what to change: I think I can put in a new Pro Mini with power regulator and go via RAW pin, the consumption will be higher but still ok I guess. And second option would be working on the charging side, however this is a bit more complicated during winter time as I don't know what is wrong. I already had a LDxxx33 in order to have a stable output for my NRF24 radio. Connected the VCC to this source too and since then it works. So it really seems that it overpowered the Arduino. Also switched the SolarPanel on but need to wait a few more days with good weather in order to have a "final" conclusion. and on a side note: my solar panels are total overkill, it charges for only a very short time during day until the battery is charged completely. thank you for your contributions. I think I have finally fixed the problem. It was due to the input side from solar and I had overvoltage shutting down my charge control board. This is quite strange as it has been running for a longer period and then stopped. Maybe it altered and at some point the tolerance went down. Anyhow it is logical: When I had good sun, I measured 6.2V on the input side which seems to be too much for the board - even the solar panels are all rated at 5V. I added a voltage regulator making sure the solar output is max 5V. Since then it seems to be stable. Of course this is not optimal as this is causing some loss. 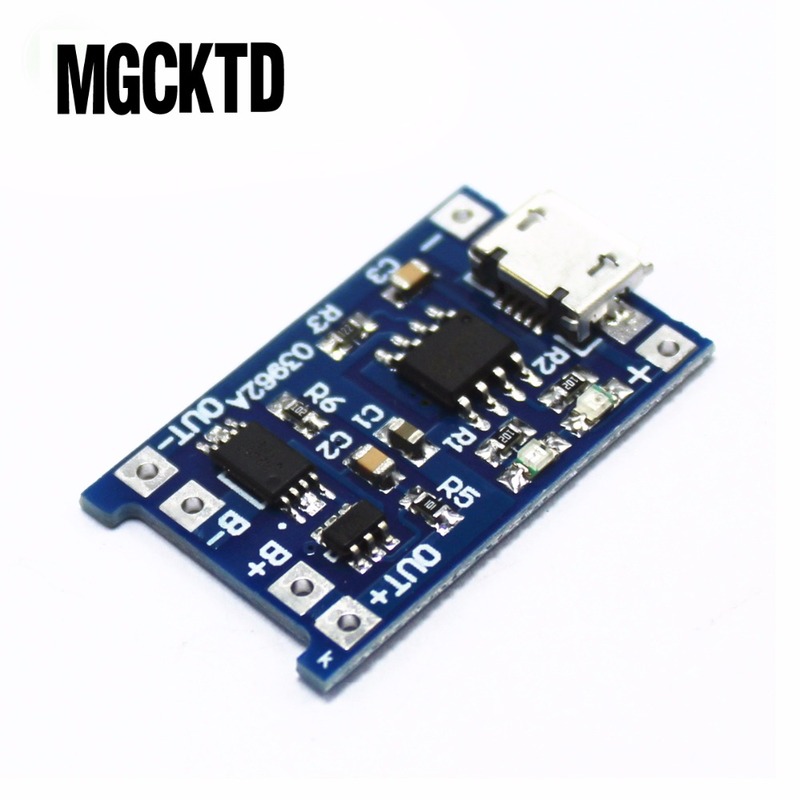 Does anyone have a potentially better solar charger control board for an input of around 4-9 V to charge a 3.7 LiPo?